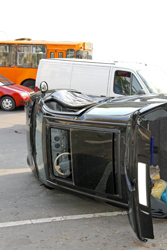 It’s an unfortunate fact that far too many fatalities and injuries are caused by auto accidents every year. If you’ve been injured or have lost a loved one in an automobile accidents, the responsible party’s insurance company may not always be willing to compensate you fairly. To guarantee the best results, take pictures of the scene, of the cars involved, and of any injuries you or your loved ones may have suffered. It’s important that you receive immediate medical help if you’ve been hurt in a collision. Not only can quick action save your life, but the documentation from medical experts can be vital to your case. It’s often prudent to consult with a lawyer even before you get the settlement offer from the other person’s insurance company. This way you’ll be ready if the offer doesn’t meet your needs. We’ll provide you with a free initial consultation so we can discuss the details of your case, and as things progress, we’ll keep you fully informed. Just knowing that you have skilled and experienced legal help on your side can save you a lot of stress while you’re healing. And you won’t pay us a thing unless we recover compensation for you. William Waddell is dedicated to providing top-quality representation to his clients. Don’t leave things to chance, call today.